We woke extremely early, hearing voices coming from the summit above. We weren’t the only ones trying to get an early start. Sunrise was beautiful – we were hiking by 6:15am. And we were running low on food – or at least I was. I ate my last Poptart as we descended Nesuntabunt. The trail finally got easy. We cruised past Rainbow Lake and stopped at the Rainbow Ledges at noon. We had already hiked sixteen miles – we were flying. Katahdin was so near – the finish line was so close. We could feel it. Even though I was hungrier than ever, I pushed on. We reached Abol Bridge and crossed the west branch of the Penobscot River at 2:30. We had officially finished the Hundred Mile Wilderness. The weather was great – clear, blue skies with no storm clouds in sight. Tomorrow’s summit of Katahdin looked like it’d be a nice one. We stopped for a late lunch at the convenience store/restaurant that serviced hikers and kayakers in the area. I ate chicken wings and a burger with fries before all was said and done. We loaded up on snacks before leaving. We bought our last dinner. And chips, cookies, sodas and Poptarts. We entered Baxter State Park at 4:00pm and signed in to stay at The Birches Lean-to that night. We were still ten miles away. Thankfully, the trail was easy. 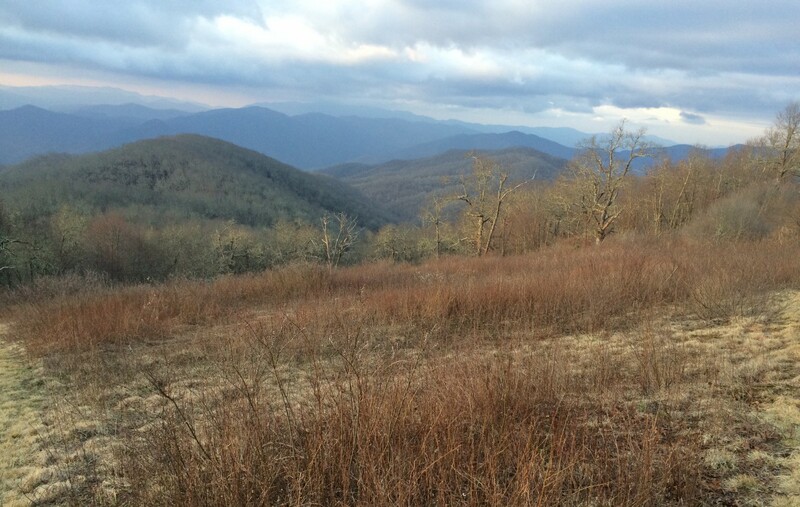 There have been few “easy” stretches on the AT – but this was one of them. We ran at times down the trail. We did pause to take a quick privy break behind a huge boulder and have a snack at 6:00pm on the banks of the Nesowadnehunk River. As we were leaving, two black mink darted out in front of us and ran down-trail between our legs. Greyhound screamed and stabbed her trekking pole into the top of my foot. An involuntary reaction for sure, but man, it hurt really badly! We hiked past Elbow Pond at sunset and found our way to the ranger station at The Birches by 9:00pm. The ranger was nearly asleep, but admitted us and showed us the way to the lean-to. I’m officially hiker 249 on the year – I started from Springer Mountain in Georgia as hiker number 534 almost five months ago. It’s starting to set in. We were surprised to find one of the two lean-tos to be unoccupied. We quickly unrolled our sleeping bags and set about making dinner. One last Rice Side and can of chicken for me – tomorrow I was summiting Katahdin. We fell asleep around 11:00pm. Previous Previous post: Day 151 – Sunday, August 7th: Cooper Brook Falls Lean-to to Stealth Camp (Nesuntabunt Mountain), 23.4 miles, 2,152.8 total AT miles. Next Next post: Day 153 – Tuesday, August 9th: The Birches Lean-to to Mount Katahdin, 5.2 miles, 2,189.1 total AT miles.